for $1,300,000. This 5,946 square foot home was built in 1923 on a lot size of 0.1987 Acre(s). IN BOYLE HEIGHTS!!! 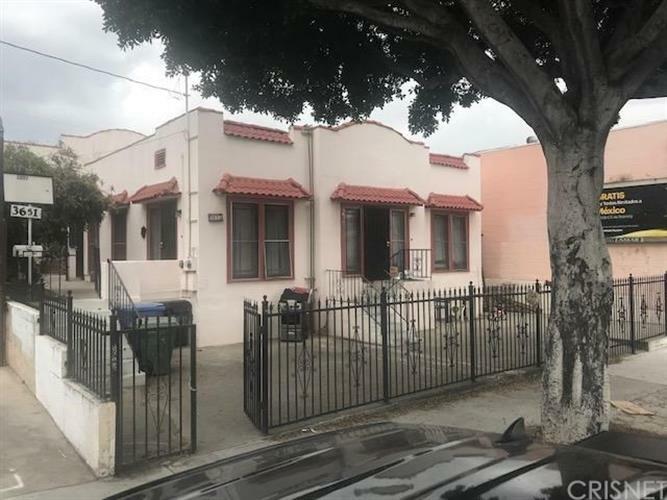 Attention Developers and Builders Here?s your opportunity to acquire 8, 656 SqFt of C2-1.5 with a TOC Tier 1 category on prime Whittier Boulevard. This site has a potential to build up to 34 units. Or 22 units By Right. This offering is a terrific opportunity to be on the pulse of the revitalization of Boyle Heights, minutes from Downtown L.A., the Arts District and all the other trend setting sub-markets. This project also lies near all major public transportation, numerous schools from daycare to graduate school, local shopping and eateries, and large venues. Dodger Stadium, the Staple Center, LA live, the LA Memorial Coliseum, and LA Convention Center are all less than 10 miles away. MIXED USE PROPERTY - CURRENTLY A DUPLEX WITH WAREHOUSE ON THE PROPERTY, ZONED LAC2. DRIVE BY ONLY, PLEASE DO NOT DISTURB THE OCCUPANTS.